Checks, please. This colorful, quilted Mara Hoffman jacket offers two-in-one versatility. Blue and red printed cotton (100% Organic Cotton). Jacket. Long sleeves. Side pockets. 42" from shoulder to hemline. Imported. So the print is so fall & fun but I should have sized down since the cut is definitely boxy & the fabric is stiff. 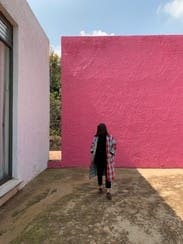 Would rent again for casual weekend wear in smaller size. Fits big, so will probably rent a small next time. Got great compliments on a coat that's totally out of my fashion comfort zone. In love! Fun to wear. Wish I would have gotten the XS. Loved that it was reversible. Fun to wear, but really big. Felt like a huge blanket. 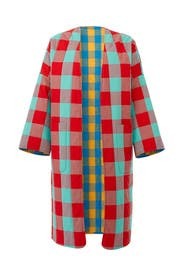 I really liked this reversible plaid Mara Hoffman coat. It was surprisingly warm and featured deep pockets. 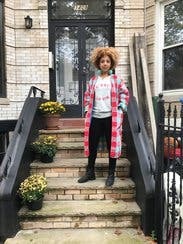 I received a lot of compliments on this coat. Loved that I was able to reverse it as necessary. 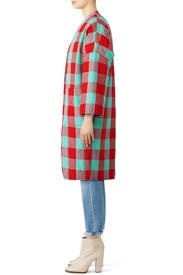 I would recommend this, note it is an oversized silhouette. While this jacket is very boxy because of the nature of the materials and cut, it's absolutely amazing. The colors are bright and fun, and I love that it was reversible. I would definitely get a size down from your normal. Runs a bit large but a great statement! Very very cute, but should be ordered smaller. 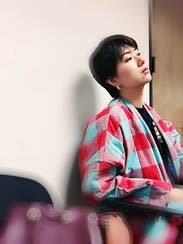 I love the pattern of the jacket but unfortunately the sleeves were too short. The jacket felt boxy but it may have just been the way the sleeves were pressed. One of my favorite pieces! Runs perfectly large, oversized, & long so I was thrilled! Love that it's reversible by liked the red side better. Wore this so many time and didn't want to give it up but didn't want to spend the $300+ to buy it :( Eventually and reluctantly sent it back to try new things. So many compliments every time I wore it! Loved that RTR is starting to carry smaller NY based brands. Was a lot warmer than I thought! Loved that it was reversible and got so many compliments. 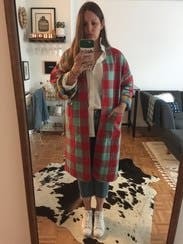 Definitely is a larger coat so you have to like the oversized coat look for this to work! I loved it for what I rented it for. It's warm and colorful. My man didn't understand it, but who cares. 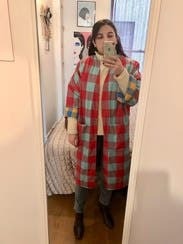 Love Mara Hoffman and so glad I got to try out this coat. loved the bright colors but was disappointed with the weight and shape of the fabric, it's just not flattering in the slightest. I LOVE this coat. I love bright colors and weird prints and this thing spoke to me from the moment I laid eyes on it. So naturally I checked it out with unlimited. 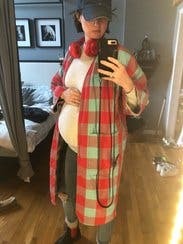 I probably wore it 8 days in a row- for work for play to the gym to get gas- seriously lived in it for a week. It was warm enough for a CA winter (45-60degrees) if I wanted to switch it up I just turned it inside out! It was bright in a sea of black and grey coats and elevated any jeans/t combo I threw under it. The only con- and this is not entirely the costs fault- the only con I had was apparently appearing to be in flannel pajamas when I wore it to a virtual meeting. Now... had I brushed my hair and put some damn makeup on it might not have looked like I said "F*ck it" on a 9am video call. 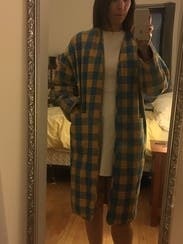 The good thing is I learned my lesson about plaids on a morning video conference- They require grooming to be on point. Or at least attempted. No bed head. Runs v large and looks like a funky bathrobe. 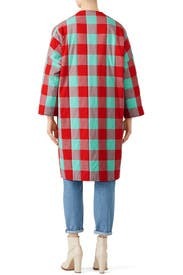 I think I'm like 30 years too old and or 20 lbs over the ideal size to wear this. A shame because it could be super fun. My only regret is that I didn't get a chance to wear this jacket on my vacation. It's totally bold between the colors and the cut, but beautifully made. Definitely try it out. Got so many compliments from friends and random strangers on this one! Colourful and fun, wore it with a thicker sweater in 30s temps and it was nice and warm. Read other reviews that said it ran large so ordered a small but because I'm tall the arms were a bit short. Fit perfectly otherwise. OMG I love this coat! So much fun to wear and surprisingly warm. Wish I'd been able to get a smaller size. But still loved it! If you want to be stopped on the street and told you're fabulous, then rent this coat! It almost felt like a neutral because it goes with everything. Runs large but that's the look, I'm 5'6 and it went to my knees. I wore in on the red and yellow side with multiple outfits! Pictures with Koche dress which was also rented. Loved this coat- great for transitional weather changes- awesome for maternity ladies as well! I did not end up wearing this coat. This coat was huge and looked absurd even in the smallest size. This coat was far too large and was not in a flattering way. It was very boxy and the sleeves clownishly voluminous. 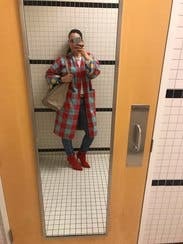 thought it was fun, even though my husband and kids thought it looked like a picnic blanket! However, as everyone has said, it definitely runs large. I'd rent again but go down at least one—very possibly two—sizes! 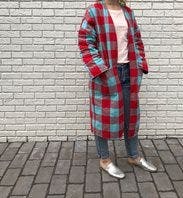 Love this coat, compliments galore, so funky and cool and comfortable and versatile. Completely reversible, so it's like 2 jackets in one and both prints are colorful and great. Huge pockets on both sides, so you really have four enormous pockets to use, 2 on inside and 2 on outside. Runs large and oversize, so don't order up. Sleeves are a little cropped which I'm usually not into, but they are also nice and wide (good for accommodating a bulky sweater underneath) and the proportion is good visually at least. 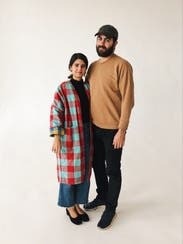 It's a really good spring/fall coat - longer and a bit heavier than a really light jacket, but the open placket (there is no closure at all - no zipper or buttons) and cropped sleeves probably make it bearable even if it were a little warmer. 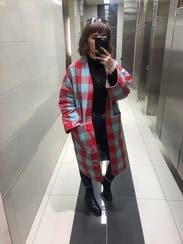 Can also throw a blanket scarf on to look very frumpy chic and bundled, something I plan on doing for as long as possible to wear this coat as long as I possibly can. 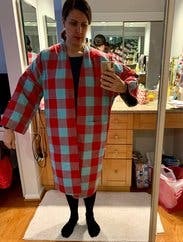 Very over-sized and comfy. It is reversible. Many, many compliments! Not really warm, but felt like the belle of the ball everywhere I went with this coat. Still works for short gals. Fun piece that transforms any outfit. Love this jacket! TOO cute. 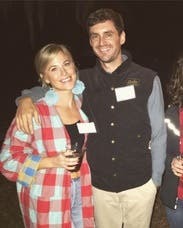 Hubby, however, kept calling me a lumberjack :( What does he know? Love the reversible ability. Love the strong color. I would have ordered a size down, had I known. Didn't wear it very much because the medium was huge. 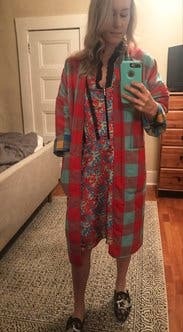 I mainly rented this to have worn something from Mara Hoffman :) it is quite large, not figure flattering, but definitely statement making. Big pockets, good vacation wear. 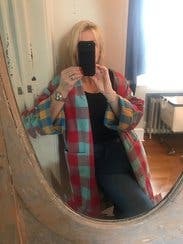 I am rarely one to say something is too much, but felt this oversized jacket missed the mark for me. I didn't wear because I felt it tried a bit too hard. Definitely runs large, however that is part of the entire look of this jacket. super comfy. I wore this over a red tank and jeans and sneakers. Simple, neat, and fitted everywhere aside from the oversized jacket. Didn't end up wearing this one because the weather got too cold. It's made of a thick quilt-type material, but the weight is better suited for fall than winter. The fit was huge, and was really overwhelming on my frame. Not in a cute way, either. Overall, it's a really interesting piece that I think will look good on taller/non-petite body shapes. this coat is dope. it has a utility feel to it, kind of like one of those army jackets everyone used to wear. but it is more sturdy, it kind of has more of an army blanket kind of vibe. def runs large, but that's the look. i love it. not sure which side i like better. def not for your basic bs, like one user said, who im pretty sure i want to be friends with. another girl said her man didnt get it but who cares. def agree on that - not sure if your man is gonna get turned on by a huge plaid army blanket, but whatever. i want to sleep in this thing and im never giving it back. Order at least two sizes smaller! I read reviews saying to order a size down, and I am usually a medium or small in jackets, so I went with a small (xsmall was not available). Sadly this jacket was enormous on me! I typically wear over-sized styles, but this just made me look 5 sizes bigger than I actually am. Wish it worked out because I love the pattern and colours! This is the coolest jacket I've ever worn. I feel like a combination of Ms Lippy/Ms Frizzle - but in the best way. Can I give it 6 stars?? Never giving it back!